Taunt is a strappy sandal with T-strap and criss-cross design. Straps all accented with a staccato of grommets for the hardware look. 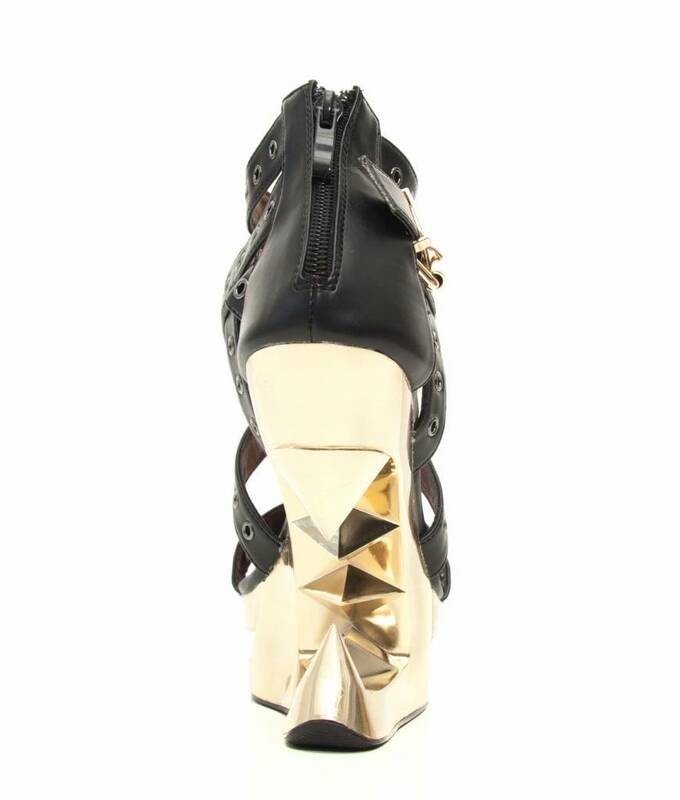 Hades' exclusive bright and shining gold chromed cut-out wedge heel dazzles with an inspiring pyramid spiked edge. Matching gold finish ankle buckle for added style, while the back zip allows ease of fit without undoing the straps. Double layer platform under-sole is 1.5" high, and the heel height spans up to 5". All man-made materials, even the glue.